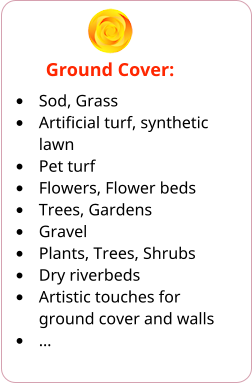 Rising Sun Landscaping & Maintenance provides friendly full-service lawn and garden design, construction, maintenance for residential and small commercial companies. Our objective is personalized service, quality work, and satisfied customers. We strive to make Rising Sun the better choice because: 1. We put our customers first and pay attention to details you care about. This is your landscaping and property. We want you to enjoy it and be satisfied. 2. There is no charge for minor changes along the way. You may better understand what you want during the progress of the job. Let us know! If there is a costly change, we can negotiate that item. 3. We guarantee your satisfaction because we want you to be delighted with the results. Look here for ideas about the services we provide. 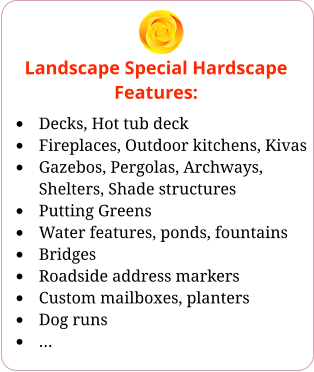 We’ve ordered them in one way you might think about and plan your landscaping -- but order to your project depends on many factors. 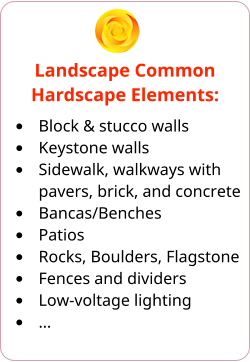 However you approach your landscape needs, give us a call and we’ll be happy to help! See our Gallery for more pictures. Your preparation may start with considering many options, looking at landscaping around your home, and searching the Internet for ideas. Consider looking at our Blog on Landscaping Benefits: Aesthetics, Function, and Low-Maintenance for one approach to organize your thoughts. 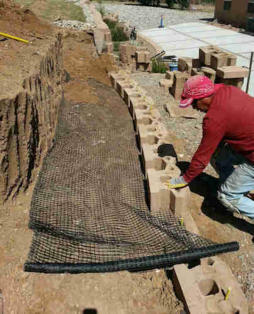 Rising sun will help with design ideas through initial preparation of your landscaping project including removal of old landscaping, ground preparation, grading, excavation, installing hardscape elements like walkways, drainage. 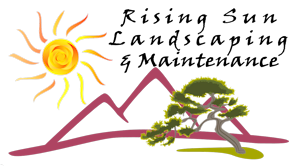 Xeriscaping can be very important in the southwest to reduce maintenance and conserve our water resources. 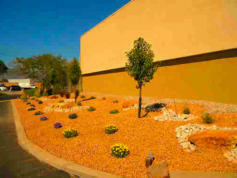 Rising Sun has a practical approach to xeriscaping. Another step in preparation is considering if your property has covenants concerning landscaping by a Home Owners Association (HOA) or other Covenants, Conditions and Restrictions (CC&R). We can help you review these documents if you wish. In addition, you may need to submit your plans to your HOA before construction begins. Discuss and refine a plan for the job: • Have some ideas about what you want and need. Take a look at my Landscaping Benefits Blog, for examples. • Meet once to go over ideas, look at options, especially walking the outdoor area for landscaping. • Discuss budget range and objectives. • Meet or discuss as needed to come up with a plan. Rising Sun can provide ideas and options for you to consider and advice about what may work best. Once there is a plan, come to an agreement: • Produce and refine a sketch of the yard as you’d like to have it. 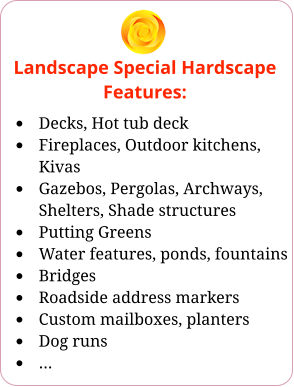 • Produce a list of details you want in your yard, such as specifics about concrete finishing, irrigation, stepping stones, pavers, bricks, plants, etc. • Refine with budget and agree upon price. • Agree upon a general starting date for the project. Once an agreement is in place: • There is no payment until we show up to start work. Payment typically is scheduled as follows to protect you as the customer and reduce risk for Rising Sun on materials and labor: o 50% - On the starting day when we show up. o 25% - At the half-way point. o 25% - Upon completion of the job. After the job is complete: • We will follow up with you to make sure you’re satisfied. • If you need regular maintenance of your landscape, let us know! 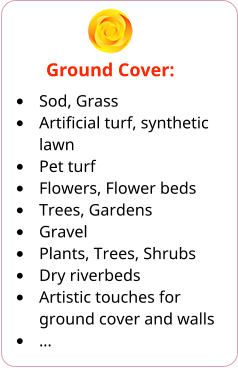 Rising Sun Landscaping & Maintenance provides friendly full- service lawn and garden design, construction, maintenance for residential and small commercial companies. Our objective is personalized service, quality work, and satisfied customers. We strive to make Rising Sun the better choice because: 1. We put our customers first and pay attention to details you care about. This is your landscaping and property. We want you to enjoy it and be satisfied. 2. There is no charge for minor changes along the way. You may better understand what you want during the progress of the job. Let us know! If there is a costly change, we can negotiate that item. 3. We guarantee your satisfaction because we want you to be delighted with the results. Look here for ideas about the services we provide. We’ve ordered them in one way you might think about and plan your landscaping -- but order to your project depends on many factors. 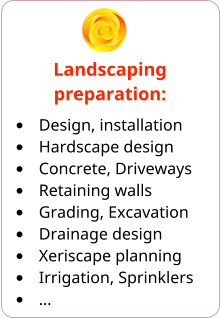 However you approach your landscape needs, give us a call and we’ll be happy to help! See our Gallery for more pictures.